While reading about a Windows 8.1 tips & tricks blog, I came across this conversation in the comment section where they were joking about the possibility of Linux being Batcomputer's choice of OS. Could it be true? A customized OS perhaps? Could the utility belt be running Java? I've searched for an answer which yielded nothing but some vague description of it being a supercomputer and that was it! The 1960s Batman series used a modified Burroughs Corporation B205. 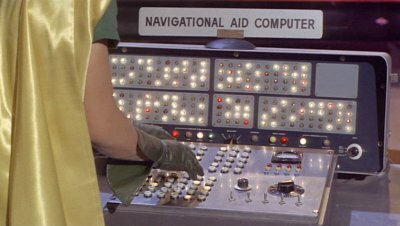 The Batcomputer in that case was running the CTOS/BTOS Operation System. 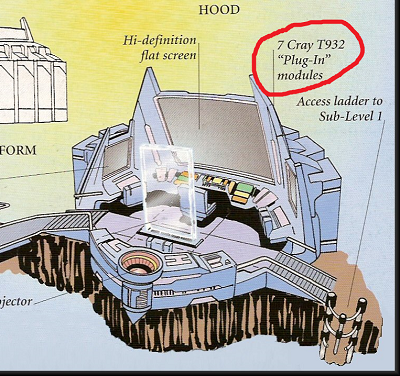 The panel below shows that the BatComputer uses seven Cray T932 "plug-in units" to provide backup processing power. Expanding on the answer of @jrg and @Richard, I think we can safely assume that we should consider the question as referring to times beginning from 1980s, since that's when UNIX systems actually appeared on the mainstream user/corporate market. Obviously neither *n*x OS was an option earlier than this rough date due to movie/comix readers/watchers (not to mention creative staff's) perception of the whole computer science; we got mainly blinkenlichten in movies from pre-1980 era due to little recognition of actual computer operating systems' looks. a) Since we can assume Batcomputer was a mainframe during 1980-1990 era, it's highly probable it was shipped with some custom UNIX clone, however it is not unheard of entirely machine-specific systems, especially with high-end machines. He certainly hasn't used Linux during that time, because Linux hasn't been created by Torvalds yet. b) Beginning with ca. 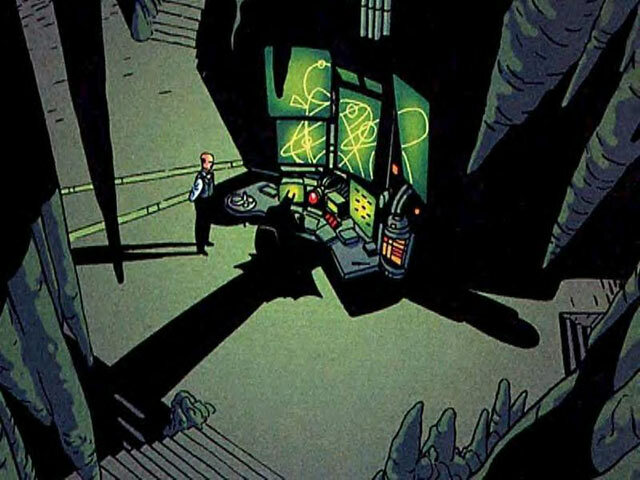 1995, Batman used T932, a most powerful variant of T90 supercomputer, running UNICOS, which is in turn based on UNIX ("CRAY T90 systems run Cray Research's industry-leading UNICOS operating system based on UNIX system V"); we can safely consider he ended doing so somewhere about 2005, when it was obsoleted by Cray X1; thus he most probably wasn't using Linux for this time (even though Linux already existed). being the common command prompt of e.g. bash shell. Since custom *n*x OSes are ATM the usual choice for supercomputers nowadays, mainly due to maintainability and security provided, it's quite obvious Batman would choose one for his Batcomputer. Hard to say if it's Linux or Unix/BSD clone due to lack of data - but saying it's a Unix-like OS is quite a good guess IMO. 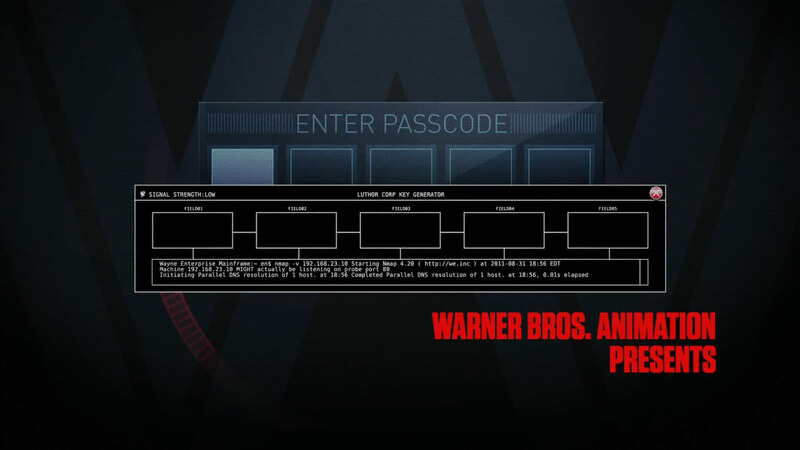 However, Batman does use nmap (bottom of the page). Therefore, it is entirely likely and possible that he uses a Linux distro of some sort. What kind of CPU does Data have? Does Batman get sick from common diseases? How does Batman avoid killing people? Did Batman use his cape to glide before The Dark Knight? Which martial arts styles has Batman been said to use? In Batman (1989), does the Joker know who Batman is?